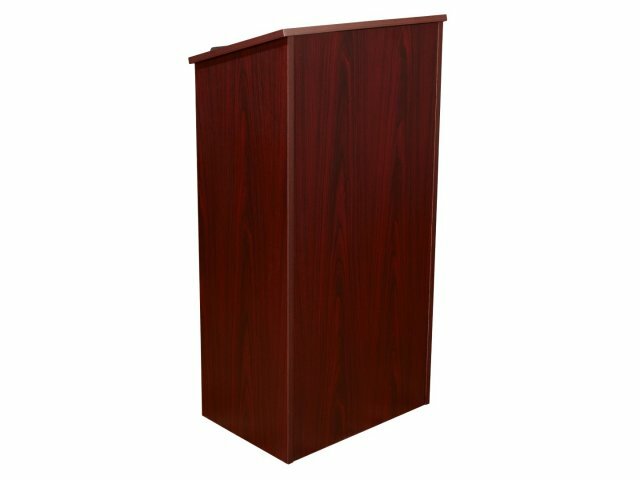 Lecterns are essential items for churches, schools, community organizations and any other institution where a speaker addresses a large group of people. A lectern can create a powerful focal point to draw the crowd's attention toward the speaker while also serving as a place to hold speaking notes and amplification equipment. Lecterns come in all shapes and sizes. Among the most popular is this traditional full-height floor lectern. 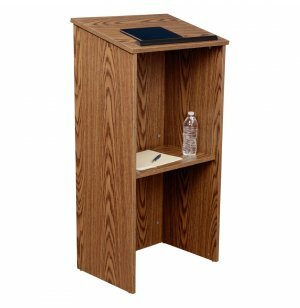 Made of particleboard, this lectern is an inexpensive alternative to high-priced models. Yet it has a high-quality, professional look that works well in different venues. 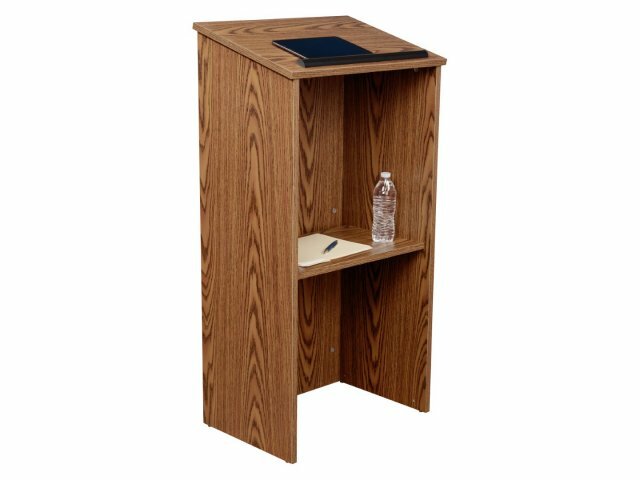 From the corporate boardroom to the high-school auditorium, this lectern will provide a great platform for all your public speaking needs. Durable: Thermofused melamine laminate surface resists stains and scratches. Smart Design: Book-stop prevents notes, pointers, and writing implements from sliding off. 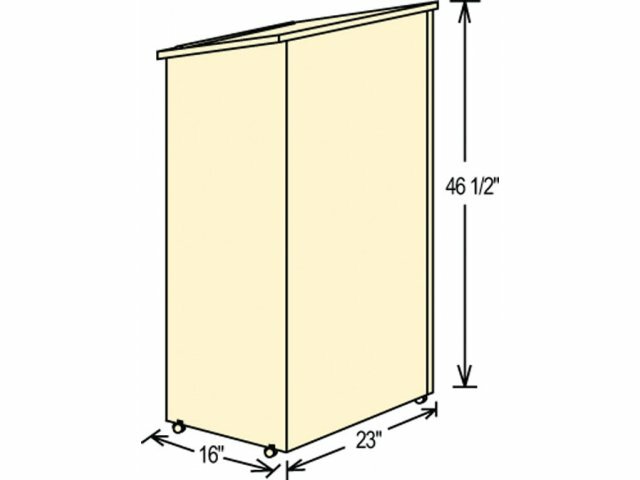 Storage: Built-in shelf is a great place to store any accessories that are needed. Floor Protection: Glides on lectern bottom keep floor scratch-free. rnOptional Casters: Casters facilitate easy mobility. Refer to accessories for easy ordering.